If you have a rat or mouse problem in Essex or London we can help you. Rats and mice are widely known for causing fires and electrical damage by chewing through wires and cables. The damage is often hidden away in walls and under floors, making repairs difficult and expensive. 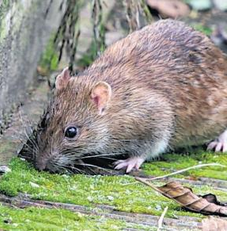 Rats and mice also pose serious health risks; leptospirosis, or Weil’s disease, can be fatal to humans. Other diseases, such as Salmonella and Toxoplasmosis, affect both humans and animals. They contaminate everything they encounter with droppings, urine and hairs. These are the tell tale signs that you have rats or mice in your building. Loud scratching noises as rats scurry around under floorboards and inside walls. Nests and nesting material, wood shavings, cardboard and plastic bags, etc. A rat and mice problem should not be underestimated. If you are in Essex or London, get in touch with us now to find out how we can help with your rat and mice problems.